Seal and Protect ships our products anywhere in the United States. Many of our products are only available online through this web site. 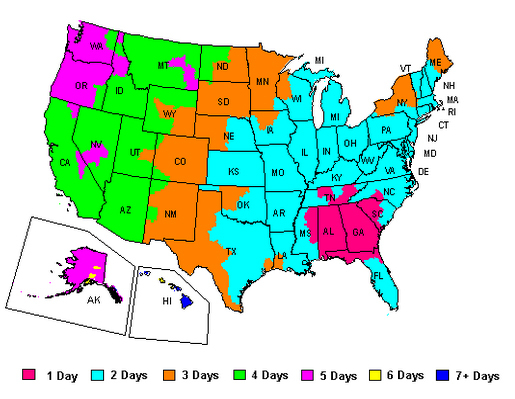 All orders are shipped FedEx ground from our Atlanta warehouse (see map below for estimated transit times). If you need your product sooner there may be a dealer closer to you. Pricing will vary at retail locations. Our TWP Stain and Zero Rust online prices are the lowest you will find anywhere, as we are able to extend the savings to you when you shop online. Interested in selling TWP Stain or Zero Rust products in your retail store or carrying our products as a contractor or retail store?